Post and panel signs are great for alerting passers-by about the goings-on of a construction site. They’re excellent at advertising available real estate. And they’re perfect for beautifying the front areas of medical offices. Come to think of it, we can’t think of any type of business that couldn’t benefit from using a post and panel sign! Easily customizable, post and panel signs provide strong and durable signage solutions for businesses of all kinds. Made from a variety of materials that may include wood, aluminum and PVC, these signs have long histories of generating interest from the buying public. As their name implies, post and panel signs are generally made up of two posts that hold up a panel display. Their simplicity doesn’t just work as an attention-grabber – it means big savings for the businesses that use them! The low-cost materials combined with the big-time durability of post and panel signs often make them go-to choices for a wide variety of businesses. But choosing the right material will have a lot to do with the type of business you own. Wood is a wise and cost-effective choice. It’s often used for construction sites, farms, inns, antique shops and any other type of business that wishes to put forth a rustic image. Aluminum, on the other hand, offers a sophisticated and classy appeal. Modern restaurants, lounges, law firms and clothing retailers may opt to go for this look. The truth is that the possibilities and options are seemingly endless! Here’s the bottom line: you want your sign to communicate pertinent information about your business in a way that makes it look very impressive. In many cases, business owners utilize post and panel signs for temporary requirements. 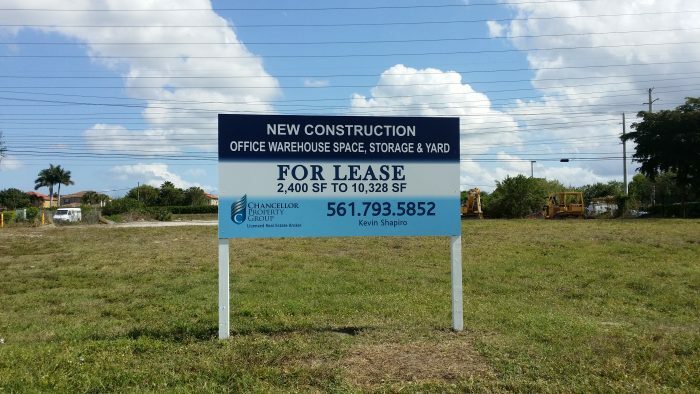 Chancellor Property Group, for example, commissioned Stellar Signs & Graphics to create post and panel signs for locations where future property developments could be leased. The signs were placed in areas where the construction was to occur. Naturally, at the completion of the construction, the signs were no longer needed. 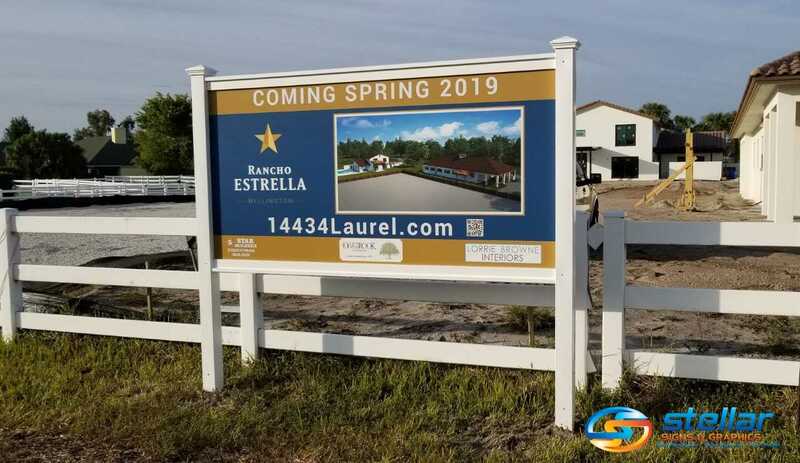 As a result, the wood-based post and panel signs offered cost-effective, temporary solutions that were able to help Chancellor Property Group secure new business. Post and panel signs can also be designed to hold brochure pockets and other attachable information. This encourages passers-by to stop by the signs to take information along with them. Such signs are particularly beneficial for companies looking to accept applications. Could your company benefit from a post and panel sign? The experts at Stellar Signs & Graphics serve the business communities in and around Palm Beach County, West Palm Beach, Royal Palm Beach, Wellington, Lake Worth, Boynton Beach, and Greenacres, Florida. Please don’t hesitate to give us a call at 561-721-6060 today! You can also fill out the form on our contact page! You may also fill out the form on our contact page!